M. Eloise Young, 84, of Canton, died on July 14, 2014, at Spicer Adult Care Home. Calling hours will be Friday, July 18, 2014, 6 -8 PM at the funeral home, a funeral service will be at 10:00 am, Saturday July 19th, at the DeKalb Junction United Methodist Church, Lay Pastor John Frary, officiating. A private family graveside service will be at the Dexter Cemetery, Dexter, New York. Eloise is survived by sons, Ray and Joan Young, Canton, Mark and Lynn Young, Kirkville, daughters, Susan and Michael Spadaccini, Dexter, Cynthia Young, Canton, Karon Yerdon, Baldwinsville, 9 grandchildren, 9 great grandchildren, several nephews and nieces. She was predeceased by a sister, Emma St. John. She was born on August 12, 1929 in Ogdensburg, the daughter of Ray and Catherine Stacy Rowland. She graduated from Dexter High School, and then earned a Bachelors’ of Science (Nursing) Degree from Syracuse University in 1951. Eloise married Keith Young on March 19, 1951 in Dexter, N.Y.; he died on March 27, 2000. She was the director of patient services for the St. Lawrence County Public Health Nursing Service for 30+ years until her retirement in 1998. 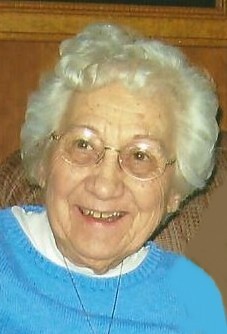 Eloise was a member of the Dexter Historical Society, and the DeKalb Junction United Methodist Church. She loved family parties, picnics and get togethers. She was an avid SU Basketball and Yankees Fan, liked knitting, sewing, sports, camping and helping others. Contributions in lieu of flowers can be made to Dexter Historical Society.